Set your grill up for high heat indirect grilling (500ºF) and place a vegetable basket in the cooker to preheat. Toss the chopped broccoli with a little oil, salt and pepper. 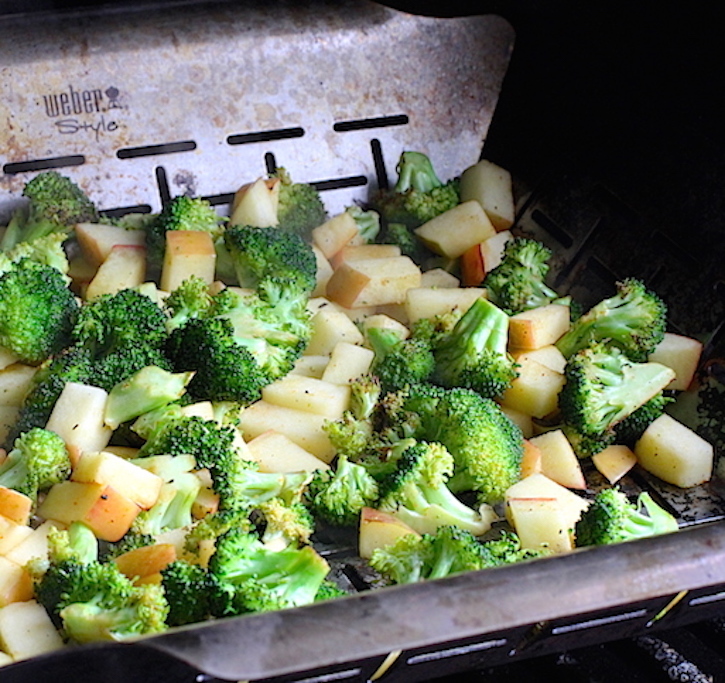 Grill the broccoli for 5-10 minutes until it just begins to soften. Add the diced apple and continue cooking another 5 minutes. The broccoli should be tender, but not totally soft. Remove from the cooker. Turn the cooker down to a medium heat (350ºF). Place the almonds on a baking sheet and cook for 5-10 minutes until aromatic and lightly browned. Keep a close eye on them to make sure they don't scorch. Remove from the cooker. Let cool then chop. Combine the dressing ingredients in a blender or food processor. Blend to make the vinaigrette. 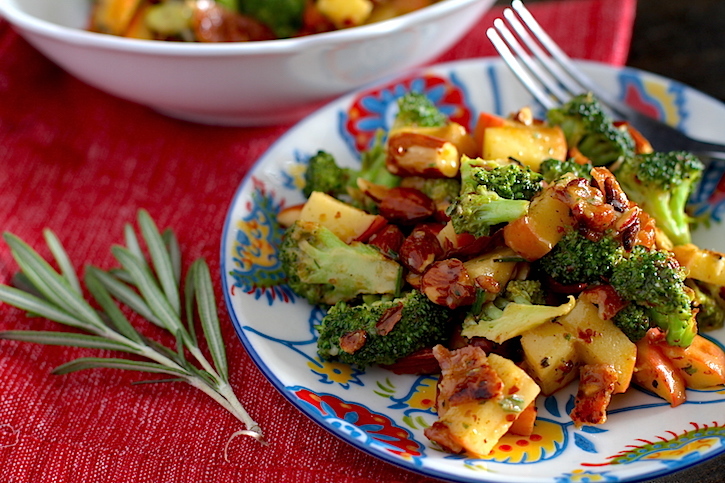 Combine the broccoli, apple, almond, bacon and dressing in a bowl. Toss to coat all ingredients. Taste and adjust seasoning with salt and pepper as necessary. Often, during the cooler seasons our sides can get a bit heavy; a bit dreary. Mashed potatoes are great. Braised veggies are fantastic. But sometimes you need that sunshine on a cold winter day to wake you up. That’s exactly what this broccoli salad is. It has these wonderful Autumn elements like apples, rosemary and smoky mustard, but it also brings a beautiful brightness through lime juice, honey and almonds. So, when you’re ready for a little sunshine, give this recipe a try.